Being a small business owner is awesome. But it can be a real challenge. You are all of these things, and you are going to need all the time you can get in order to build the business that you want to have, the way you want to have it. In order for you to do your best work consistently, you’re going to need to start freeing up some of your time. You want to be sure that you’re leaving enough time each day to be doing all of those many things well. And to be the YOU that has brought this whole business to the forefront to begin with: the motivated, happy, passionate and creative YOU. It can be hard to wear so many hats AND stay motivated, creative, passionate and happy. And you KNOW that no one wants that depleted and deflated version of you. If you’re not spending your time wisely, then your business isn’t going to be functioning at the level you want it to. 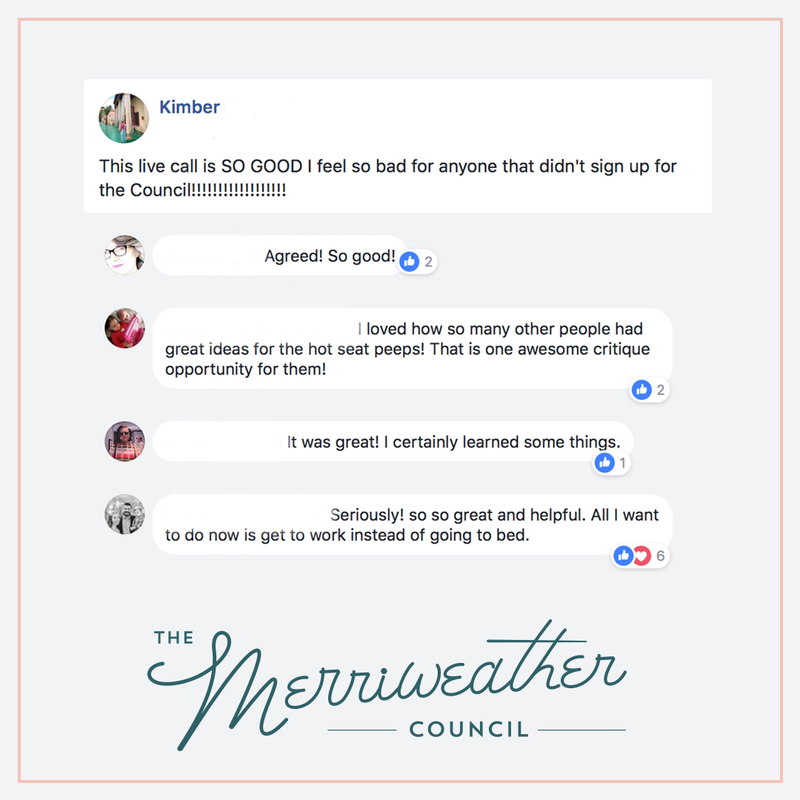 You want to be able to show up for your customers as the best possible you every day, not the I’ve-been-searching-on-Pinterest-all-day version of you or the foggy-headed-spent-too-much-time-Googling-today version of you. You want to be the refreshed and refined and educated you, the best possible you that you can be. 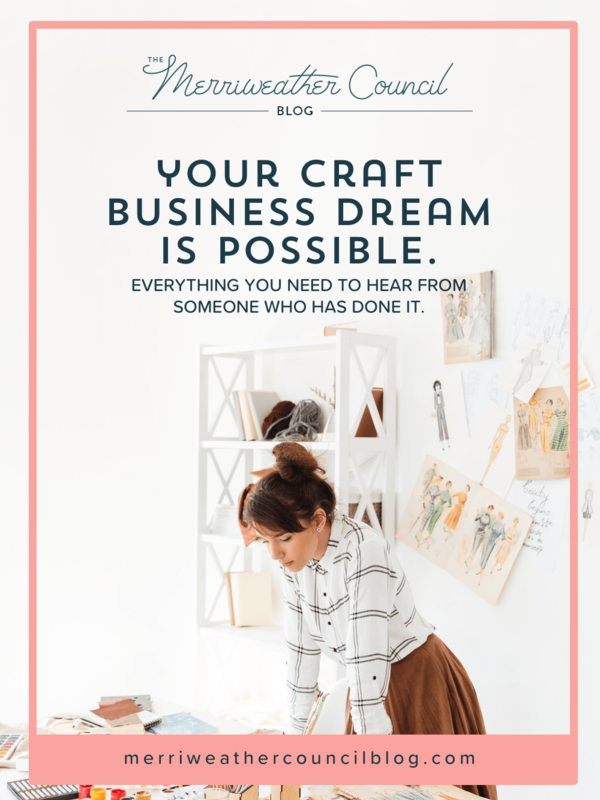 I know that all of that can feel really overwhelming and when you’re going at this alone like many of us are doing the solopreneur thing, it doesn’t just feel that way… it actually is really, really overwhelming. Are you trying to learn everything? And are you doing it the hard way? You know that you want to become that Jane of all trades so you can get stuff done quicker. But, the way that you’re going about learning all of those skills for your Jane of all trades skillset is just not working anymore. You’re draining yourself of your most valuable resource, which as we know is time. The less time you have to spend learning how to do all of these things for your Jane of all trades skillset, the more time you’ll have to do the work you actually want to do. 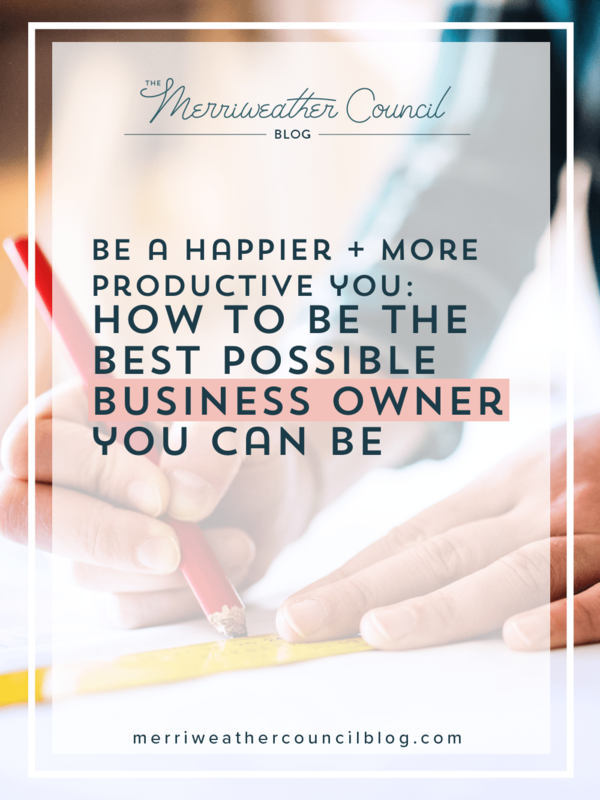 Saving time is your best bet for making more money and sustainably growing your business long term which will of course, in turn, help in maintaining that happiest version of you that’s possible. 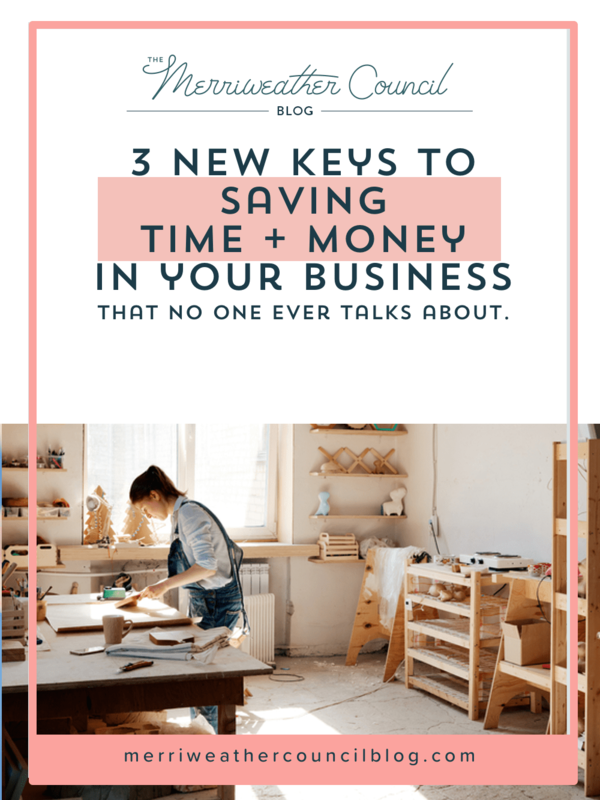 Check out the 3 New Keys to Saving Time + Money. I have seen how saving time and having powerful valuable lessons available to members has revolutionized the way that they’ve worked, the way that they get things done, the way that they stick to things, the way that things happen for them, and results and results and results. Action, action, action. Results, results, results. The Council is going to save you a ton of time. It’s going to save you time that you haven’t even had the chance to consider spending yet because you just don’t even know some of this stuff exists. We’re going to save you time while saving you money and get you where you want to go quicker. Because let’s be honest, moving at a fast pace is not only motivating because you’re getting things done quicker and seeing results sooner, it’s almost essential because so many things are going on right now and technology is changing so rapidly, you just have to constantly be in forward motion. Imagine if you could go from day to day in your business spending time only on things that actually mattered, knowing exactly what those things are. Or if you could handle issues with ease instead of tension and anxiety and without having to ask everyone you know for their input. Imagine if you had even just a few extra hours every week to just make new stuff, to develop new ideas that you’ve been sitting on for years, to nurture your community or spend time interacting with people and getting to know them. Imagine if you had the time to do the kind of stuff you actually wanted to do to begin with. What if you had time to do the best work you can do instead of rushing just to put something out? What would it mean for you and your business if you had more time to build up fuller and better promotions and better marketing plans? What would it mean to just have more time to do the work that you love? Well, I’ll tell you. For starters, you would be a lot happier. You would be less stressed and less overwhelmed. You’ll have more stamina to maintain the business and grow it in the way that you want to. No one has energy to be depleted all day, running all over the internet trying to find answers to things to then come to their studio and produce quality work. It just doesn’t work like that. Just doesn’t happen. Again, no one wants that version of you. We want to see you show up every day as the refined and educated version of you, the best possible you that you can be. That’s what your business deserves. Again, since you’re the only one running this ship, it’s kind of essential that you show up every day and be perky and happy and well maintained and educated and know what you’re doing and be able to do it in a way that makes sense. Again, what we have here is a classic win-win situation. Guess what? You make more money. Want to get all the details, the behind the scenes sneak peeks, everything, everything, everything that you need to know about becoming a council member? Come on over and check it all out. Remember: Action, action, action. Results, results, results. Let’s cut to the chase: time is money. Distractions are debilitating. Planning is hard. Overwhelm is real, and money is almost always going to be your most restricted resource. Whether you’re more established or you’re newer, money is always going to be that most restrictive resource and time is always, always, always going to be your most valuable resource. Time is always going to be your most valuable resource because it is finite. You cannot make more of it. I don’t care how crafty you are, you cannot make more time. Time is free, but it’s priceless. And money is always going to be the most limited or stretched aspect of your resources. When you have limited funding and the cashflow isn’t quite as strong as you’d like it to be, the best way to make more money is to save time. That’s what I’ve learned, and that’s what I want to tell you about right now. This is a mindset shift that has the power to dramatically improve the way that you work and will revolutionize the way that you approach your business. Saving time and leveraging the time you have available to you, doing the things that you’re good at and moving past the things that you’re not good at quickly will avail more resources in terms of time and money for you. It’ll either save you a ton of money, or it will give you the capacity to earn more quicker. Most people do not see the connection between these two things! Huge bummer. Whenever the subject of saving time comes up, people say things like “spend less time on social media” or they come up with so called life-hacks that save a maximum of 5 seconds per day, or they tell you to time yourself. Okay, but none of that is truly sustainable, also big deal about saving less than one minute of time per day … and y’all, really wanna be attached to a timer? Here’s how you really save time: You don’t spend a ton of time moving past the things you’re no good at. You know before you go, so that when you get to those things you’re no good at, you can quickly move beyond them and get back to doing what you want to be doing. Because what’s costing you the most time right now is dealing with millions of tasks that you aren’t quite sure how to do or have no process for. I’ve come to know that for most makers in business, things don’t really start to take off for them until they realize the true value of their time and charge appropriately for it, or behave in a way that’s respectful of that time. Let’s think of it this way. If I asked you to do 100 hours of unpaid research work for me, you would laugh at my face. You would think I’d lost my mind, and you would be offended. “How could she ask me to do this? Why would she ask me to do this?” That makes sense. That is how you should feel, because you have 1,000 other things to do. You don’t have time to do work for free researching something for me. You know what? You don’t have time to do it for yourself, either. There are a lot of reasons why time is your most valuable resource, but we can boil it down to one word. Opportunity. Time gives you the opportunity to work on new things and do things with your friends and your family and live your life outside of your business. Family, friends, movies, restaurants. You remember it, right? You want to be spending the time that you have available to you doing work you love or doing work you actually get paid for, and just enjoying your life. That’s how you want to be spending your time. 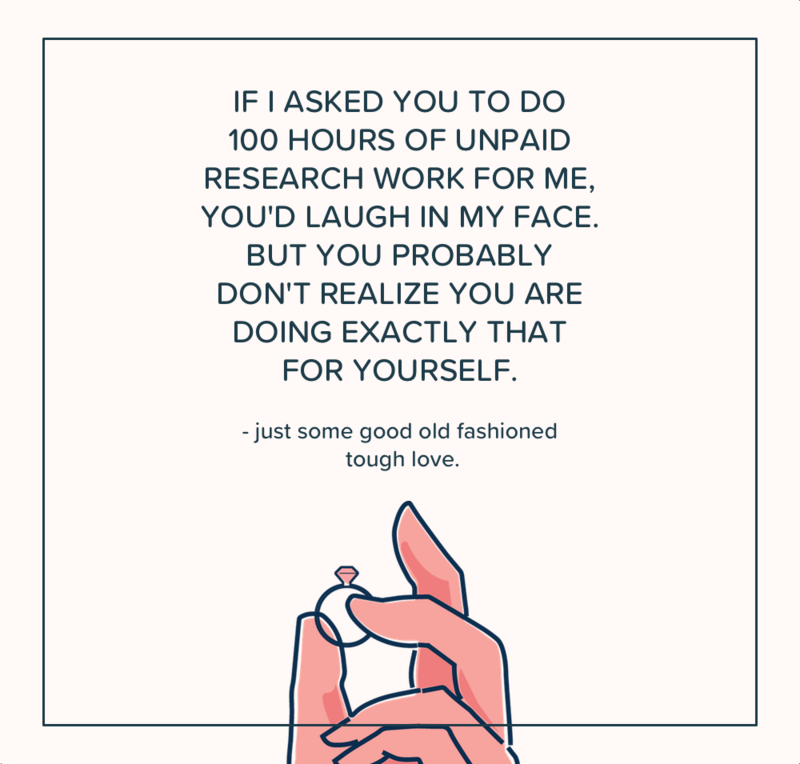 You don’t want to be sitting around doing hundreds of hours of unpaid work for me, so why would you want to do it for yourself? It doesn’t make any sense, but so many times, time and time again, this is what I see my makers doing. They’re working for themselves for free at this ridiculous capacity that is unsustainable. It drains them not just of their time, but of their motivation. It makes them feel discouraged. What you might not realize is that you are probably doing this too. Learning, guessing, checking, and it’s because you have that DIY mindset. Here are the three most effective ways to stop working for hundreds of hours for free in your business. One: We have got to kick the, “I can Google it,” mindset. If everything you needed to know was Googleable, you would know it by now. You would have Googled it, the answer would have appeared, and you would have moved on with your life. Google is a great tool, no question, but it’s also kind of a doorway to a lot of wasted time. Two: You need to quit second-guessing everything. 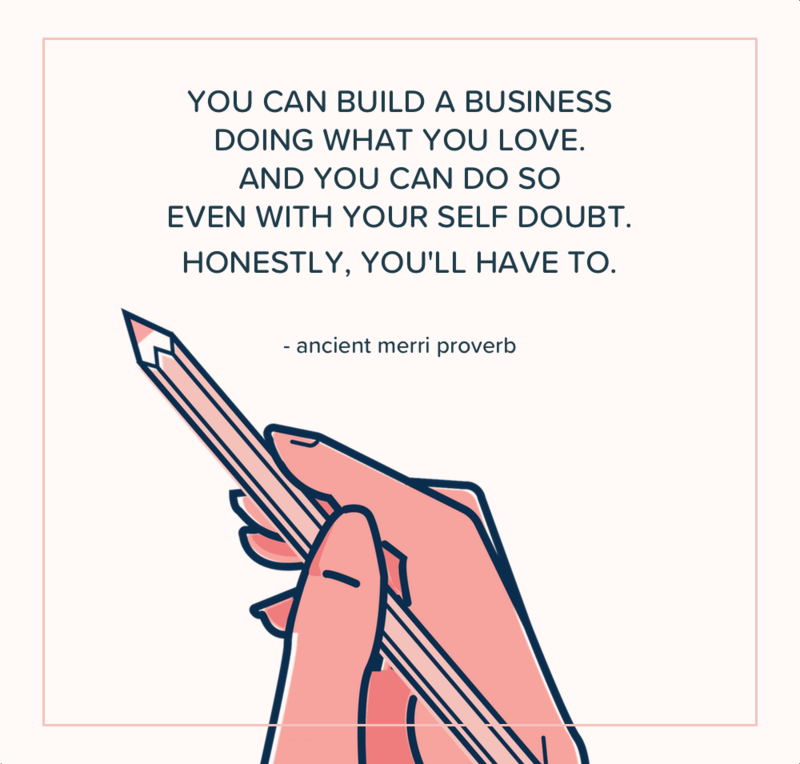 You are a business owner. You are here to do the work that you do. You. Not the person next door. Not the person over there. Not some random person on Facebook. But the thing that you do, the way that you do it. That’s why you got into this in the first place, isn’t it? That’s the second thing. You need to stop second-guessing everything. Three: You have to stop thinking that you’re just going to outsource everything. That’s not going to work. There are a lot of people who will tell you to outsource everything that you’re not good at, and those people must be Britney Spears because that’s crazy. That’s going to cost a ton of money, and it’s going to take up a ton of your time as well, trying to find the right people to do these tasks that you want to outsource in the way that you want them to be done. That’s going to take up a lot of time. Outsourcing ain’t easy. As a business owner, one of the best things you can do is become a Jane of all trades. You don’t have to be perfect at everything, and you don’t have to know how to do everything, but you can learn to do a lot of things, and availing tools in your own personal skill set is huge, and that’s going to save you a ton of time and money. You really want to be able to move on things and take things from idea to reality rather quickly, because everything moves so quickly these days, and when you have a lot of skills in your own personal toolbox, you’ll be able to do better work quicker, see results sooner, and make more money. So why wouldn’t you want to do that? To combat these three things that slow everyone down, you need concise education, confidence, and a dynamic skill set. When you make this somewhat simple mindset shift about how you spend your time, you will find that you do better work quicker. Again, you can save a ton of money simply by saving time, and you can save yourself a lot of headache and heartache, most importantly. When you save time, you either save or avail money, and isn’t that what you want, more money to do the things that you actually need and want to do? The answer is yes, that’s exactly what you want. 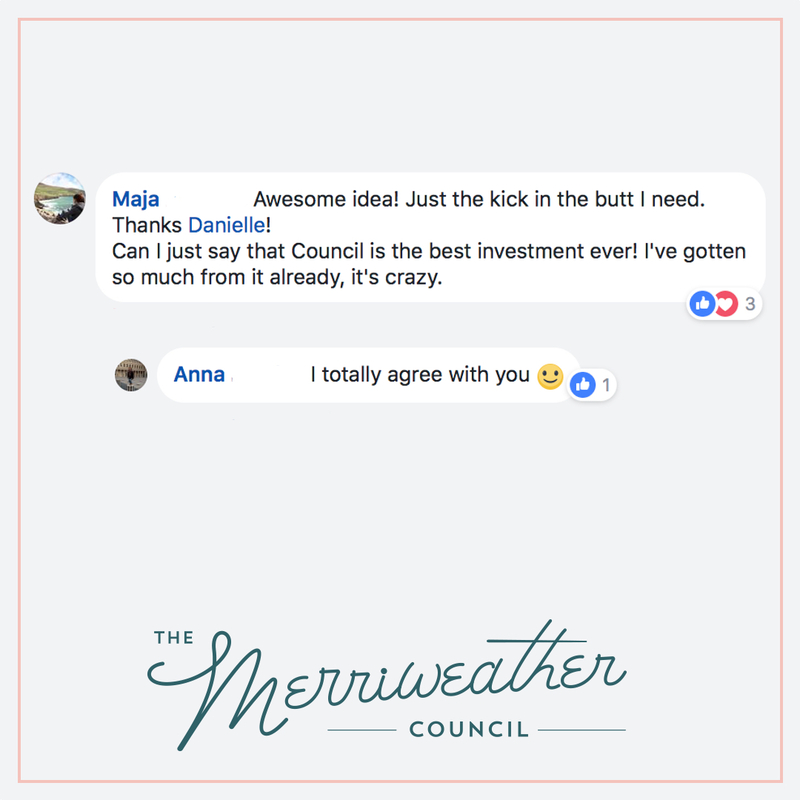 This is why I’m so excited to tell you about The Council, and also because I’ve seen that it’s worked for so many of our members. 75% of our original founding Council Members are still members today almost a full year later. 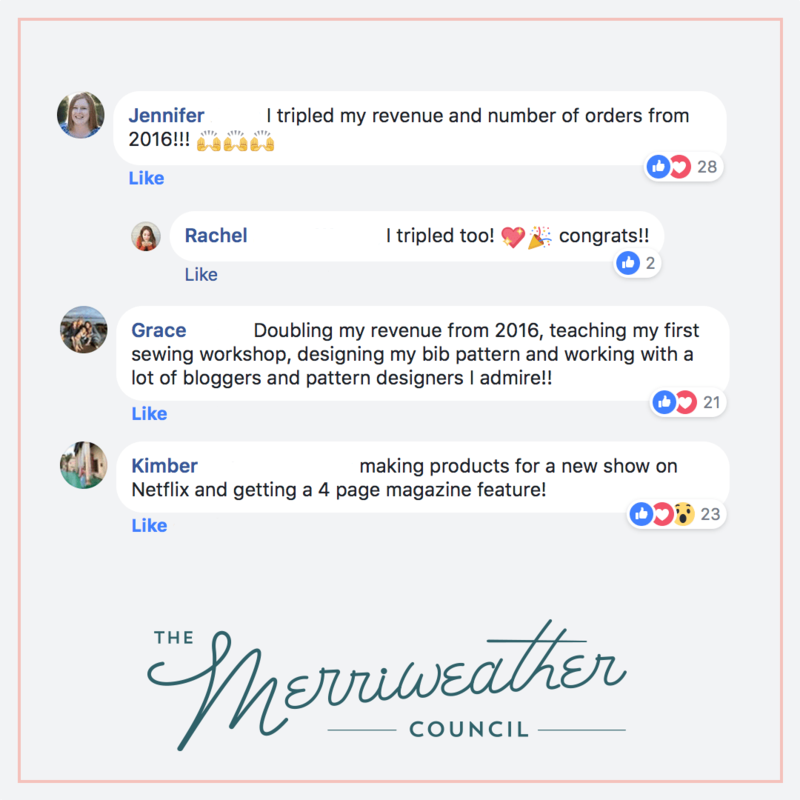 We would love to have you join us inside of The Council, too, so that you can develop your Jane of all trades skill set and build the business you actually want to have, in a way that compliments your life, not distract from it. Come see what The Council has in store for you!